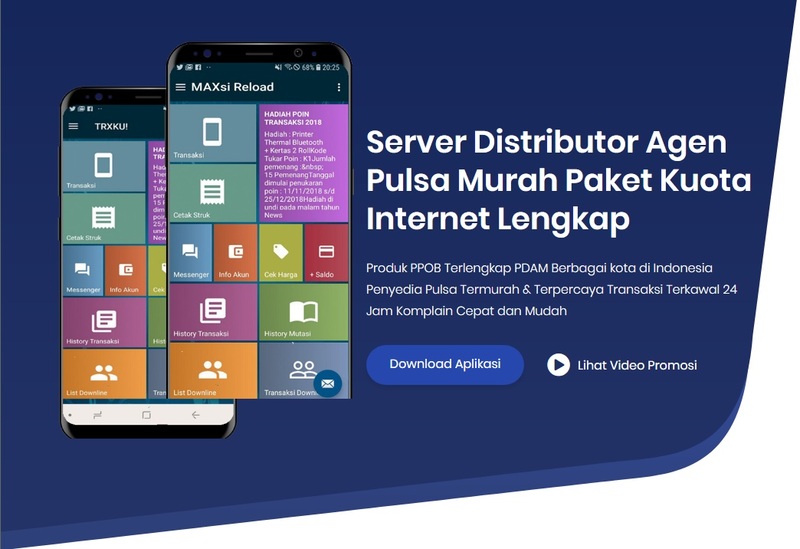 VGA sangat penting bagi Anda yang menggeluti dunia Desain Grafis, demikian pula bila kita ingin menikmati sebuah film/video dengan peforma yang menawan, anda wajib menggunakan VGA Card supaya gambar atau Grafis yang tampil di monitor bisa maksimal dan hasil kerja kita bisa memuaskan. 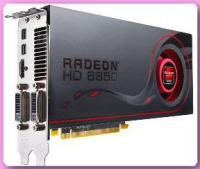 GPU/Interface: Bus Interface : PCIe 2.1 x16, Core(s): Dual, Core Clock: 900 MHz, Max Single Display Resolution: 2560 x 1600. Display Interface: Dual Channel DVI: 2 Connectors, HDMI 1.4a: 1 Connector, Mini-DisplayPort: 1.2 Connector, VGA: Supported. Rendering Technologies Paralell Computing: Dual-Stream, Video Processing: EyeSpeed Technology, Multi Display: Eyefinity, Display Quantity: 6 Screens, SLI/CrossFireX: 6 GPUs, Cooler: Fan, Power Connector: 4 pin. GPU/Interface: Bus Interface : PCIe 2.0 x16, Core Clock: 1544 MHz, Max Single Display Resolution: 2560 x 1600, Max Power (TDP): 244 Watts. Video Memory: Memory Clock Speed: 2004 MHz, Memory Size: 1.536 GB, Memory Type: GDDR5, Memory Bus Width: 384-bit, Memory Bandwidth: 192.4 Gbps. Display Interface: Dual Channel DVI: 2 Connectors, HDMI 1.4a: 1 Connector, VGA: Supported. Supported API: Directx: 11, OpenGL: 4.1. 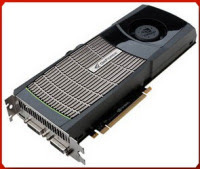 Rendering Technologies Paralell Computing: Cuda, Video Processing: PureVideo HD, 3D Viewing: 3D Vision Ready, Multi Display: 3D Vision Surround Ready, Display Quantity: Multi Monitor, SLI/CrossFireX: 3 GPUs, Cooler: Fan/Heat Pipes, Power Connector: 6 pin / 8 pin. GPU/Interface: Bus Interface : PCIe 2.1 x16, Core(s): Dual, Core Clock: 775 MHz, Max Single Display Resolution: 2560 x 1600. Rendering Technologies Paralell Computing: Dual-Stream, Video Processing: EyeSpeed Technology, Multi Display: Eyefinity, Display Quantity: 6 Screens, SLI/CrossFireX: 4 GPUs, Cooler: Fan, Power Connector: 6 pin / 8 pin. GPU/Interface: Bus Interface : PCIe 2.0 x16, Core(s): Single, Core Clock: 700 MHz, Max Single Display Resolution: 2560 x 1600, Max Power (TDP): 250 Watts. Video Memory: Memory Clock Speed: 1848 MHz, Memory Size: 1.536 GB, Memory Type: GDDR5, Memory Bus Width: 384-bit, Memory Bandwidth: 177.4 Gbps. Display Interface: Dual Channel DVI: 2 Connectors, Mini-HDMI 1.3: 1 Connector, VGA: Supported. Rendering Technologies Paralell Computing: Fermi, Video Processing: PureVideo HD, 3D Viewing: 3D Vision Ready, Multi Display: 3D Vision Surround Ready, Display Quantity: 3 Screens, Max Multi-Display Resolution: 5760 x 1080, SLI/CrossFireX: 3 GPUs, Cooler: Fan/Heat Pipes, Power Connector: 6 pin / 8 pin. GPU/Interface: Bus Interface : PCIe 2.1 x16, Core(s): Single, Core Clock: 850 MHz, Max Single Display Resolution: 2560 x 1600, Max Power (TDP): 188 Watts. Video Memory: Memory Clock Speed: 1200 MHz, Memory Size: 1 GB, Memory Type: GDDR5, Memory Bus Width: 256-bit, Memory Bandwidth: 153.6 Gbps. Display Interface: Dual Channel DVI: 2 Connectors, HDMI 1.3: 1 Connector, DisplayPort: 1 Connector, VGA: Supported. 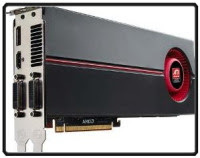 Rendering Technologies Paralell Computing: Stream, Video Processing: Avivo HD, Multi Display: Eyefinity, Display Quantity: 6 Screens, Max Multi-Display Resolution: 7680 x 3200, SLI/CrossFireX: 4 GPUs, Cooler: Fan, Power Connector: 6 pin / 6 pin. GPU/Interface: Bus Interface : PCIe 2.0 x16, Core(s): Single, Core Clock: 607 MHz, Max Single Display Resolution: 2560 x 1600, Max Power (TDP): 215Watts. Video Memory: Memory Clock Speed: 1674 MHz, Memory Size: 1.280 GB, Memory Type: GDDR5, Memory Bus Width: 320-bit, Memory Bandwidth: 133.9 Gbps. Rendering Technologies Paralell Computing: Fermi, Video Processing: PureVideo HD, 3D Viewing: 3D Vision Ready, Multi Display: 3D Vision Surround Ready, Display Quantity: 3 Screens, Max Multi-Display Resolution: 5760 x 1080, SLI/CrossFireX: 3 GPUs, Cooler: Fan/Heat Pipes, Power Connector: 6 pin / 6 pin. GPU/Interface: Bus Interface : PCIe 2.0 x16, Core(s): Single, Core Clock: 1215 MHz, Max Single Display Resolution: 2560 x 1600, Max Power (TDP): 200 Watts. 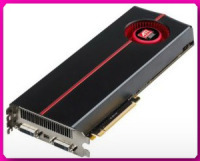 Rendering Technologies Paralell Computing: Cuda, Video Processing: PureVideo HD, 3D Viewing: 3D Vision Ready, Multi Display: 3D Vision Surround Ready, Display Quantity: Multi monitor, SLI/CrossFireX: 3 GPUs, Cooler: Fan, Power Connector: 6 pin / 2 pin. GPU/Interface: Bus Interface : PCIe 2.1 x16, Core(s): Single, Core Clock: 725 MHz, Max Single Display Resolution: 2560 x 1600, Max Power (TDP): 151 Watts. Video Memory: Memory Clock Speed: 1000 MHz, Memory Size: 1 GB, Memory Type: GDDR5, Memory Bus Width: 256-bit, Memory Bandwidth: 128. Display Interface: Dual Channel DVI: 2 Connectors, HDMI 1.3: 1 Connector, Display Port: 1 Connector, VGA: Supported. 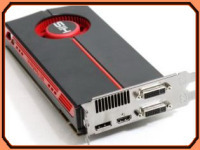 Rendering Technologies Paralell Computing: Stream, Video Processing: Avivo HD, Multi Display: Eyefinity, Display Quantity: 3 Screens, Max Multi-Display Resolution: 5760 x 1080, SLI/CrossFireX: 4 GPUs, Cooler: Fan, Power Connector: 6 pin / 6 pin. GPU/Interface: Bus Interface : PCIe 2.1 x16, Core(s): Single, Core Clock: 850 MHz, Max Single Display Resolution: 2560 x 1600, Max Power (TDP): 108 Watts. Video Memory: Memory Clock Speed: 1200 MHz, Memory Size: 1 GB, Memory Type: GDDR5, Memory Bus Width: 128-bit, Memory Bandwidth: 76.8. Display Interface: Dual Channel DVI: 2 Connectors, HDMI 1.3: Supported, Display Port: Suppoerted, VGA: Supported. 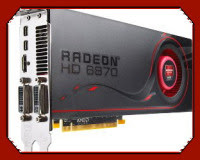 Rendering Technologies Paralell Computing: Stream, Video Processing: Avivo HD, Multi Display: Eyefinity, Display Quantity: 3 Screens, Max Multi-Display Resolution: 5760 x 1080, SLI/CrossFireX: 4 GPUs, Cooler: Fan, Power Connector: 6 pin.